Journal v10n4pp9-11  included an article, The First Issues of the Middle East Countries, "from the files of the late Floyd A. Walker, FICC #14". 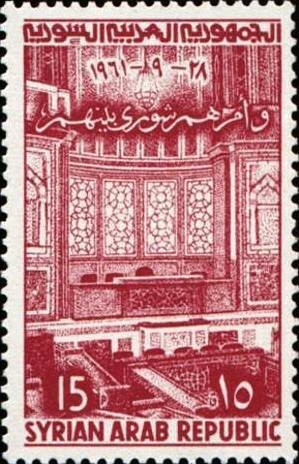 "Syria has had an interesting philatelic history. 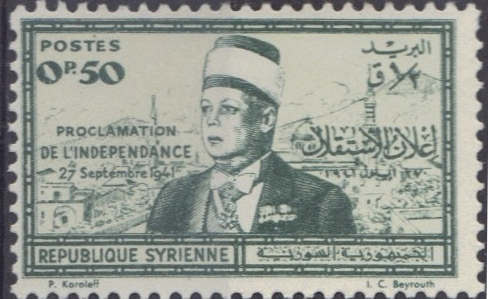 It includes the issues of Alaouites, Ile Rouad, and Latakia, as well as its own #1 issued in 1919 under French Occupation, and its various independence issues. (Ed. Note: Scott actually lists three Syria #1s - the French Occupation issue and the Arabian Government issue, both in 1919; and the United Arab Republic issue of 1958.)" Syria formed part of the Turkish Empire from C16th until 1918. When Turkey was defeated in WW1, Syria was divided into a French coastal zone and the interior, administered by Arabs. 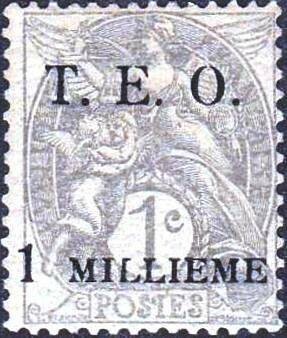 French stamps were used, surcharged and inscribed T.E.O., Territoires Ennemis Occupés. Gibbons  states that the E.E.F. 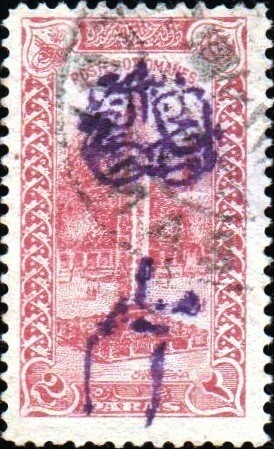 stamps listed under Palestine were available in Syria from September 1918 until February 1922 and when these were in short supply, the Arabian govt., Turkish overprints and surcharges were issued. 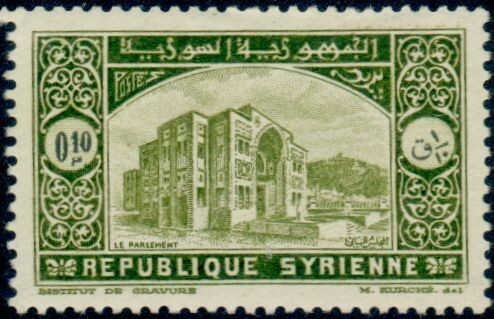 After suppressing a two year Druse rebellion in 1929, the French allowed Syria and Latakia to become republics under the French Mandate in May 1930. It was agreed in 1936 to terminate the mandate after three years, but this timetable was delayed by WW2. Syria and Egypt formed the United Arab Republic in February 1958: Syria left the Union in 1961 and became the Syrian Arab Republic. † Scott lists UAR issues separately at the end of Syria; Gibbons lists them within Syria. Sources: ScS, SGP19, Journal v10n4p10 .